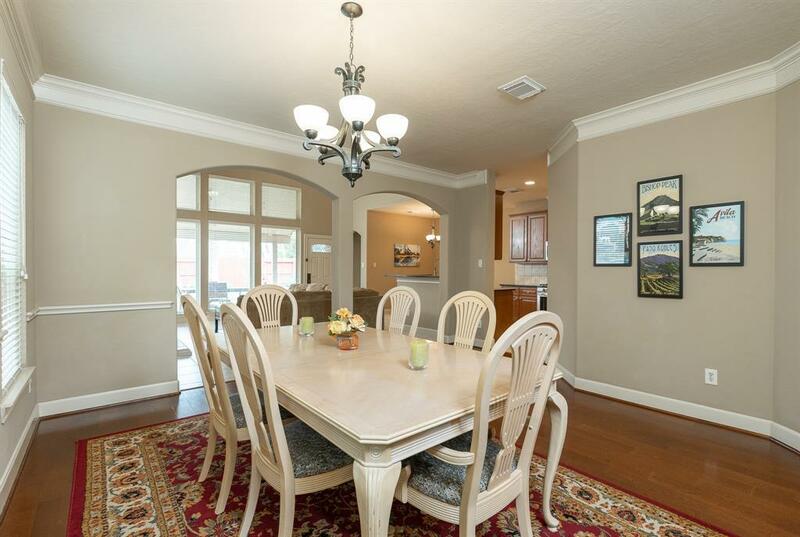 Beautiful David Powers two story home in the Silvercreek community! Manicured landscaping and a covered front porch adorn this functional floor plan that features crown molding and upgraded baseboards throughout the sunlit dining room with wood floors, a spacious family room with cast stone fireplace, built-in cabinetry, surround sound wiring, and wall of windows, updated kitchen with granite countertops, reverse osmosis water filtration system, and a huge walk-in pantry, and a secluded first floor master retreat. 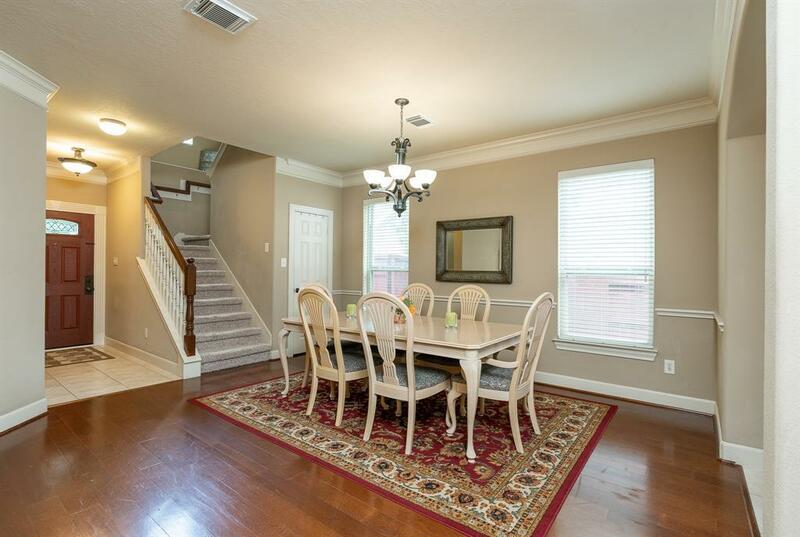 Upstairs, you'll find a centrally located game room that overlooks the family room, 3 bedrooms, and a full bathroom. 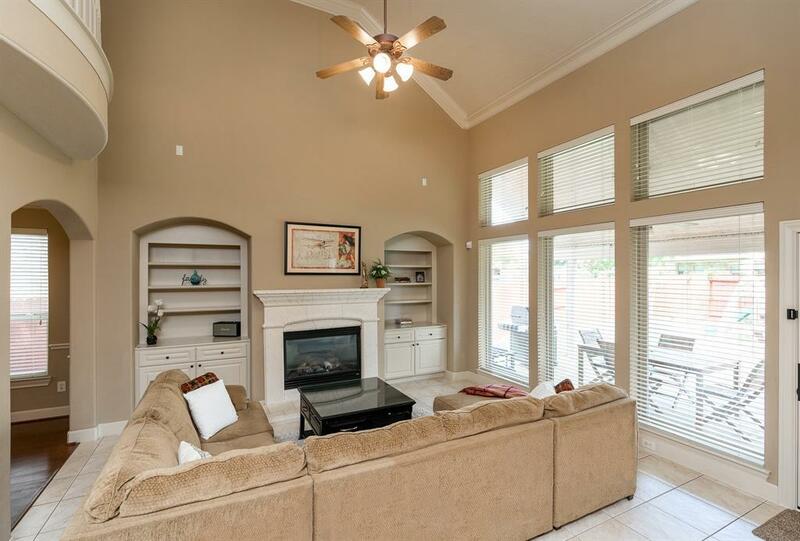 Relax under the covered patio overlooking the landscaped backyard with full sprinkler system. A new roof ensures low maintenance! 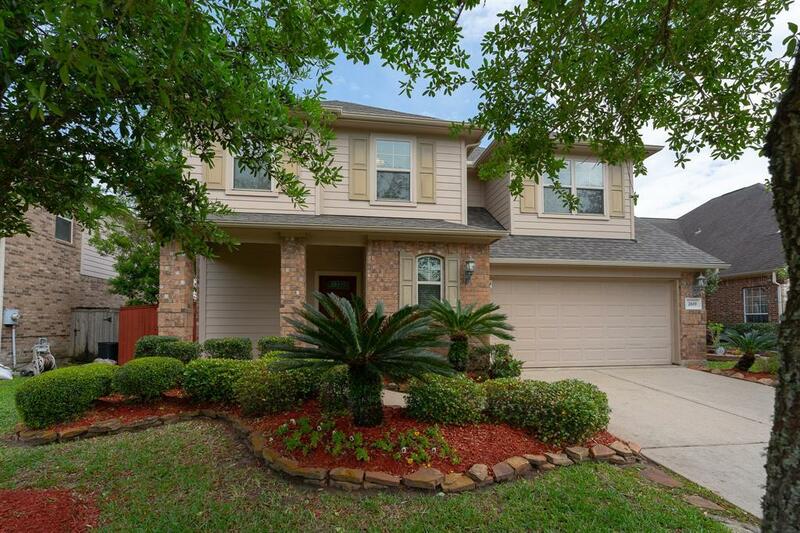 The Silvercreek community boasts a private pool, tennis courts, and walking trails around the various ponds, and is zoned to great Pearland ISD schools including exemplary Silvercrest Elementary.